You are here: Home / Texas News / Borderland & Immigration / Did Democrats help create hellholes in Central America? Did Democrats help create hellholes in Central America? In a classic example of how American Democrat liberals make a mess of things but are seldom recognized as the creators of such, we have the current “caravan” border crisis and a dysfunctional Central American state. Authentic Americans, those folk who believe in the country, its sovereignty, and the rule of law even when it comes to immigration, are called harsh, mean, and much worse by Democrats when we question the wisdom of open borders and granting political asylum to thousands voluntarily fleeing their homes in Central America. In report after report we are told of the terrible plight would-be border crashers face in their homelands. For example, the public radio affiliated Texas Standard brought us a story of how terrible is the “violence and repression” in Nicaragua and how such is causing people to flee that country. 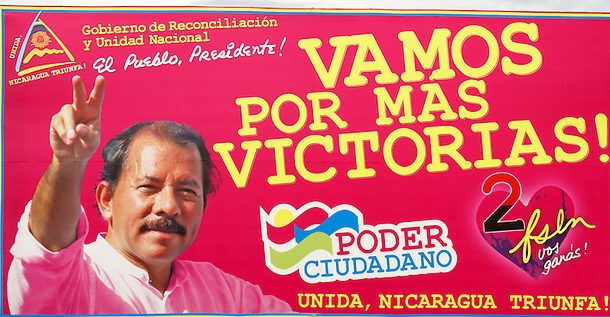 “Terror is not confined to jail [in Nicaragua.] Thousands of people, many armed with machetes, have been dispatched by [Daniel] Ortega’s government to take over lands owned by the regime’s opponents. Close to 17,000 acres of Nicaraguan farmland are under armed occupation. And you can’t call the police to help you,” the story reported. We don’t hear daily in our news how Leftist Democrats directly helped create the hellholes behind all the “violence and repression” leading to mass migration north.